Hello to All to all my Australian Winter Friends! So raise your hand if you love Winter?! BOO!!! … This is most definitely one of the most cooler seasons I’ve experienced – or maybe it’s because I miss & long for European Summer soooo much! 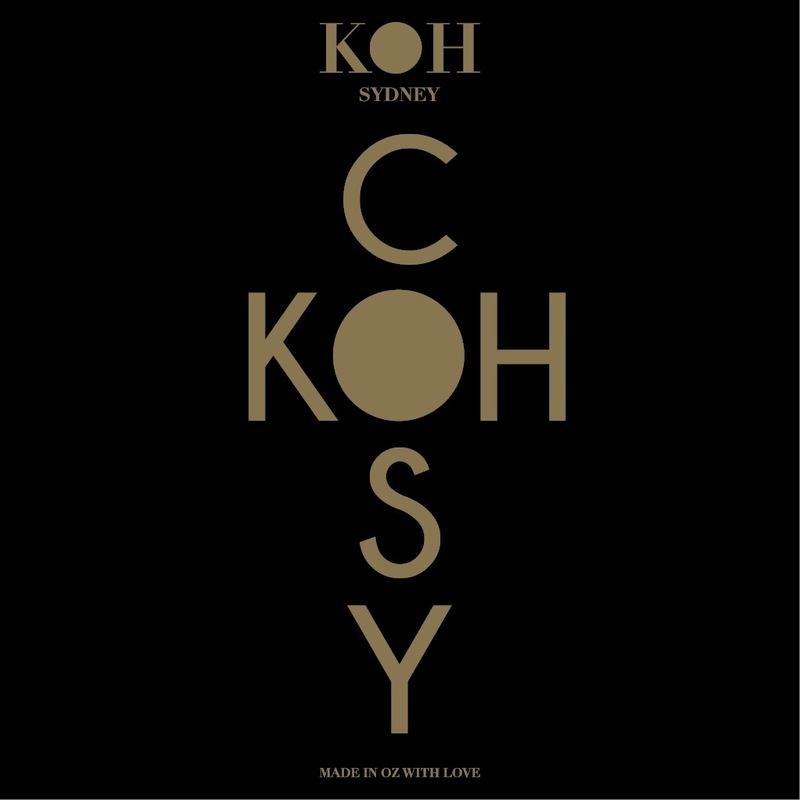 KOH Sydney is the label of Sydneysider “Jim Koh.” Born and raised in Singapore, Jim developed his talent for design, fashion & flair at a very young age – or more than likely, he was born with it already … He now graces our presence with his graphic design skills whilst simultaneously running KOH on the side. Utilising his passion for fabric, he creates most beautiful, funky cushions and blankets for your home. If you are gonna suffer in this cold, suffer with STYLE! 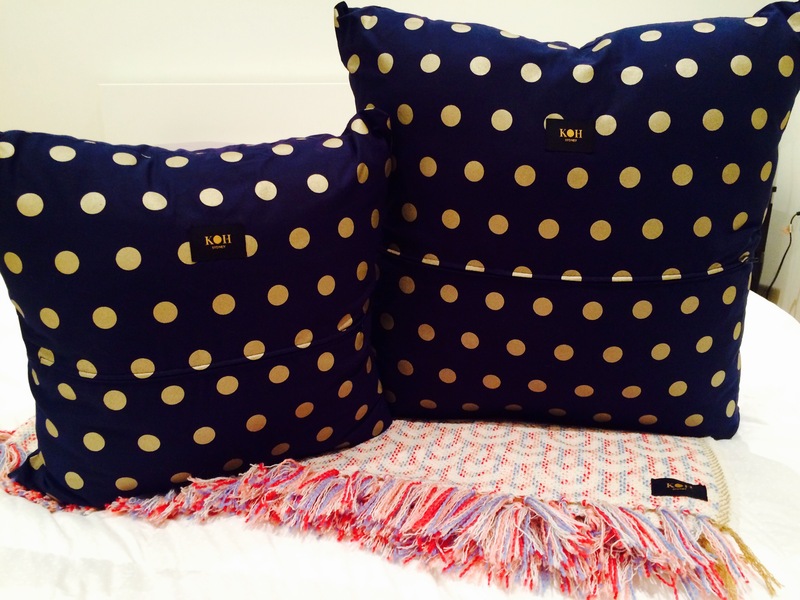 His cushion designs are adorned with retro/funky polka dots (classic combo of gold on navy blue or black on yellow – very bumble bee) and are also available in various sizing. 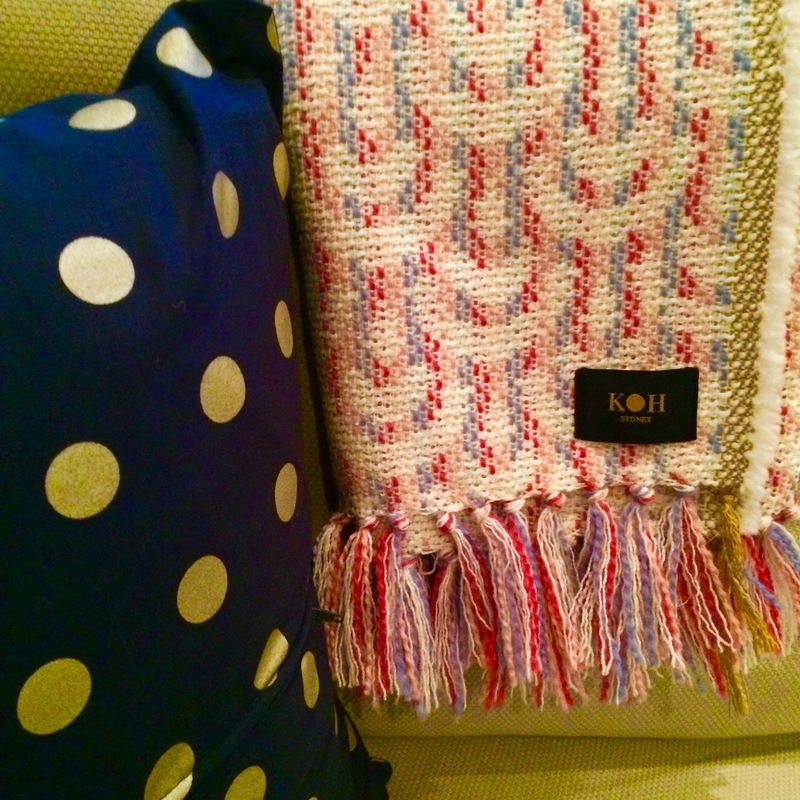 The gorgeous blankets/throws are created in various colours, prints & styles. The each throw is very unique with an added special touch by individually hand-sewing on fun tassels. I make it no secret that I have a “thing” for interior design & home furnishings … It really makes a house into a “home.” I truly support and love his work … You can see that each piece is made by love, creativity & style. Most of his creations are limited edition as he likes to experiment various types of fabrics and variety – so snag a piece today! 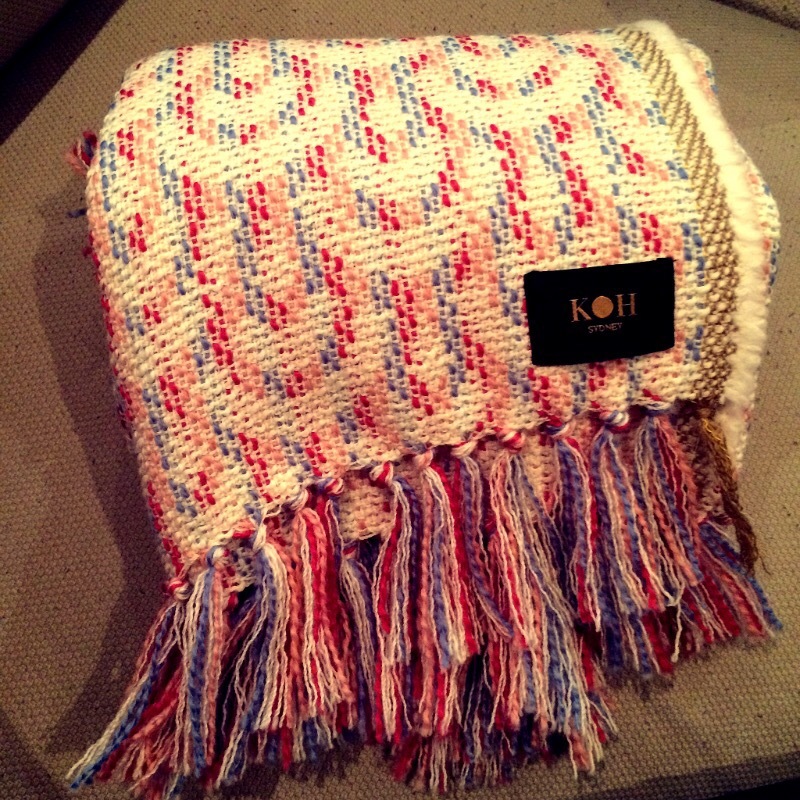 … and stayed tuned for the next instalment: KOH Handbags & clutches.